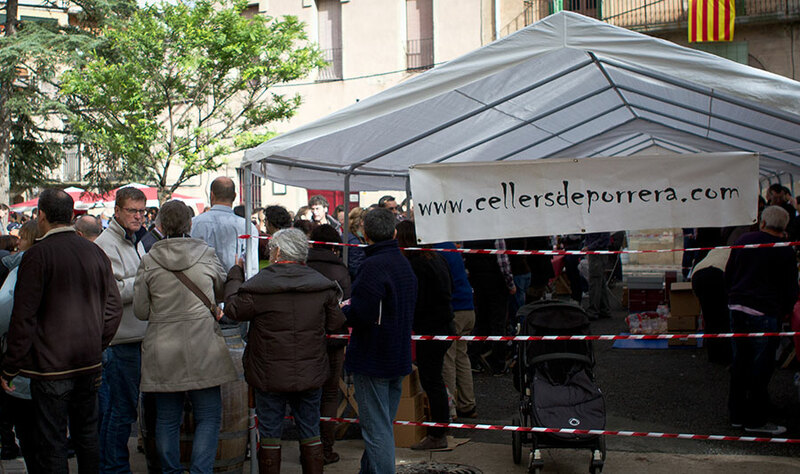 For those who love wine (and if you’re reading this, you probably do), one of the best public events in Priorat happens this Saturday, November 7th starting at 11 in the morning called, Tasta Porrera. This is one of the two annual tasting events put on by the cellar association of the village. It provides the opportunity to taste the 15 or so cellars along with a couple of the side projects produced using fruit from the village. The price for the tasting is just 12€ for a glass and there isn’t any of that stupid ticket system you find at other events in Catalonia so you pay that price and taste everything you can in three hours *. For the hunger visitor, there’s also the lunch after the tasting. All of this more closely resembles the events that you find in France such as this one or this one wherein in you can taste what the winemakers have and buy it if you’re in to it, which in the case of Porrera usually means buying a great deal as there are many, many great wines in the village and we’re not just saying that because our offices are there, although it doesn’t hurt. Oh yeah, you’ll also be able to buy the wines at a discount for that day. The tasting is but one part of a larger day though and coincides with the Festa Major (basically, the village party in English) with the party starting the night before and lasting until Sunday. For anyone looking for a good time, you might very well find it this weekend in Porrera. * It seems this changed various times before the event as the day of it was ultimately the X numbers of tickets per wine system that I feel doesn’t work.